IDEATION | School’s Almost In! 10 Aug School’s Almost In! We are kicking off this month with Back to School themed products for the office. If you are a stationary nerd like we are then you should be as excited as we are! This season Ideation is inspired by creating a positive work environment with fun and useful promotional products for your team. These promotional products include must-have essentials that will be put to work every day and fun novelty items to lighten up the work day. Let’s Begin with the must-have essentials. Keep your team in unity with a unique set of mugs that represent the personality of your company. Are you a brewery that requires the hipster look of clear mason jar inspired mugs with a single-color silk screen imprint? 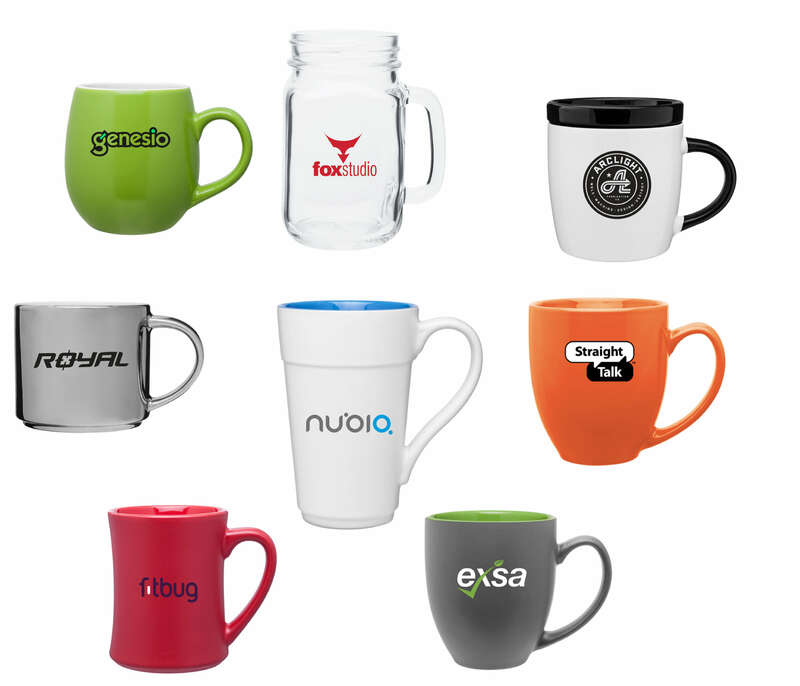 Or are you a fresh tech company that wants to keep it fun with a two-color mug: matte on the inside and gloss on the outside with a multi-color imprint of your logo? Either way, we have you covered. Does your team dream of a perfect notebook? We sure do. 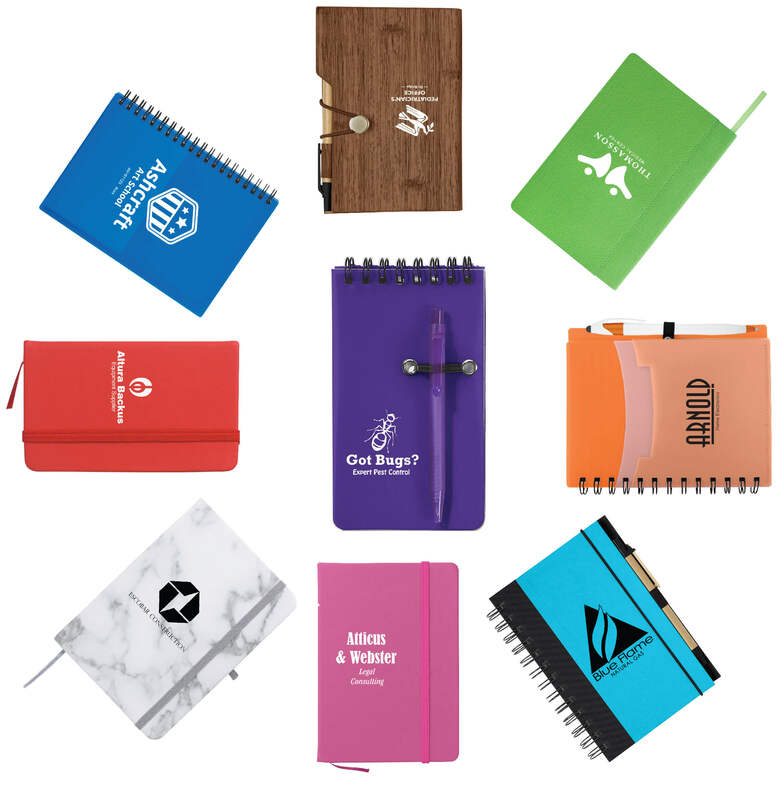 Branded promotional items like a portfolio notebook give a long-lasting impression of teamwork. If a client sees your employees decked out in your own personal branded swag they will have a visual cue of the members of your team. This signifies that everyone works together to create or provide the best service you can for them. And end with entertaining items. Novelty tech, what exactly does that mean? To the Ideation team, novelty tech is an eye-catching unique technology that most people dream of having but usually do not get their hands on. 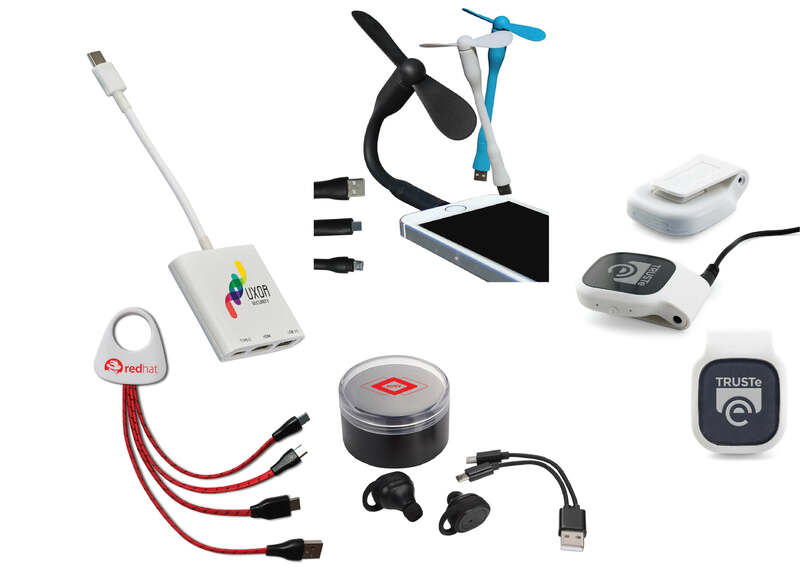 Utilizing novelty tech in personal promotional branding can wow your audience by giving them a taste of something new. Innovative and new technology is an easy way to engage a new audience as most people are drawn to the advances in the current tech world. We must include a section for the kid at heart because really, who isn’t? Fidgeting toys have been in the forefront of the branded goods movement in recent years, the most popular being the fidget spinner. 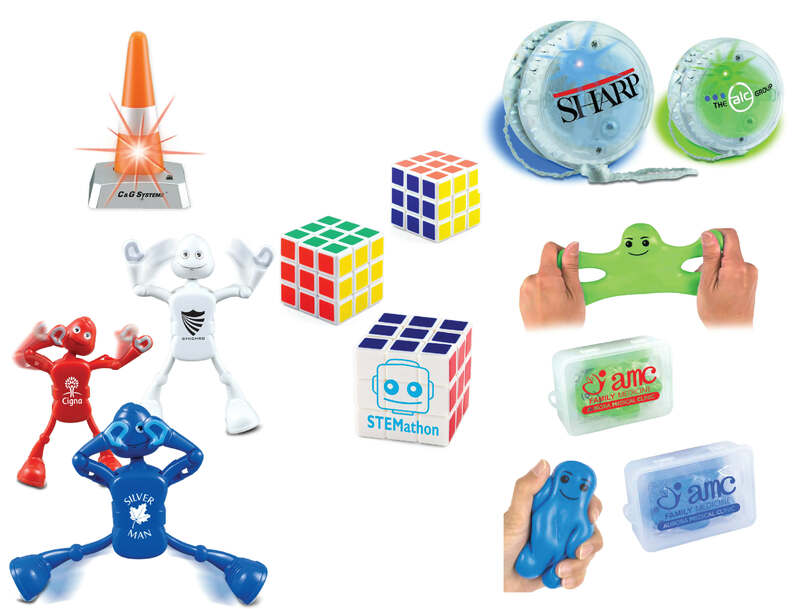 Did you know that there are more lines of fidgeting toys available including things that squish, stretch and twirl. Give a set of these goodies to your team to keep them having fun on down time in the office!